The according project developer and construction supervisor is the Romanian company New Energy Grup SRL (NEG) in Constanta, RO. Its managing director, Marian Turbatu, commented: "Until end of August, we are working on completing seven foundations. We expect the first turbines to be erected end of September". These Enercon generators will be the first new wind turbines in Romania, as up to now, only used turbines were erected in the country. Until end of this year, it is planned that 20 of the 35 wind turbines will be erected and put into operation step by step. In the upcoming year, 15 more turbines are to be erected as well. The aim is to connect all 35 turbines to the grid until autumn 2010. Then, the installed total output of the wind farms amounts to 28 MW. 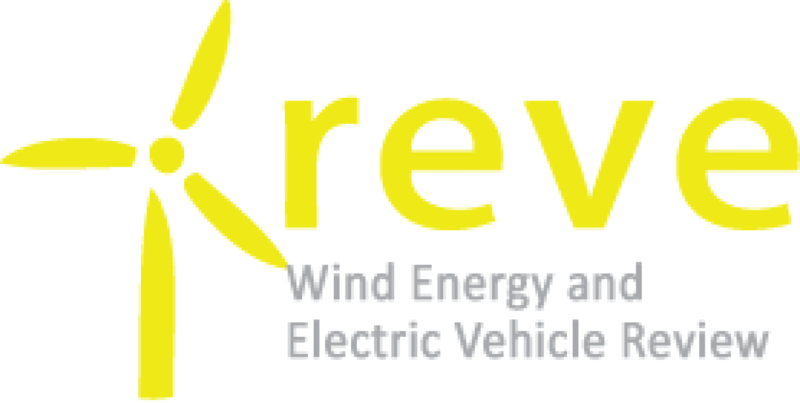 The company Clean Energy Development SRL (CED) from Constanta is the owner of the wind farms and takes over controlling and operational management. The German company Energy Competence Centre GmbH (ECC) in Berlin was charged with preparatory due diligence tasks and quality control of the documentation of the projects. Commenting on the cooperation between the companies, managing director of CED SRL, Andreas Blutke, says: "I am very satisfied with the reliable and in content excellent work of ECC. Many of the technical and documentary details could be developed and completed due to the profound and approved skills of the employees. With ECC CED has found a good cooperation partner!" As of 2008, wind power in Romania has an installed capacity of 76 MW, up from the seven MW installed capacity in 2007. Romania has the highest wind potential in South Eastern Europe of 14,000 MW, and investors already have connection requests of 12,000 MW although the national electricity transport company Transelectrica offered permits for only 2,200 MW. A study of Erste Bank places Romania and especially the Dobrogea Region with Constanþa and Tulcea counties as the second best place in Europe to construct wind farms due to its large wind potential. Another study made by the Romanian Energy Institute (REI) said that wind farms could contribute with 13 TW to the national power generation capacity by 2020, and between 2009 and 2017 total wind farm capacity will comprise of 4,000 MW with investments of US$ 5.6 billion. As of 2008, there is an installed capacity of 76 megawatts (MW) of a wind power in Romania, up from the seven MW installed capacity in 2007. Until December 2009, Romania will add 516.5 MW to its installed wind capacity from six wind farms: Fântânele, Valu lui Traian, Orºova, New Energy Constanþa, Liteni and Blue Planet Baia. The Fântânele Wind Farm will become operational in stages. First, 139 General Electric 2.5xl turbines will be built; they stand 100 metres (330 ft) tall and have a blade diameter of 99 m (320 ft). The wind turbines will have a 2.5 MW capacity and will be operational by December 2009. The second stage will be operational by 2010 and will have an installed capacity of 252.5 MW. When completed, it will be the largest onshore wind farm in Europe, surpassing the Maranchon Wind Farm, the largest wind farm as of August 2009. Romania has a wind-power potential of around 14,000 MW, and a energy-generating capacity of 23 terawatt-hours. The country’s wind power capacity that can be assimilated by the national transport grid is between 3,000 MW and 9,000 MW. The Dobruja region, which consists of Constanþa and Tulcea counties, has the second-highest wind potential in Europe. The Romanian company Blue Investment will invest US$84 million in a 35 MW wind farm in Baia, Tulcea County that will have 14 Nordex N90 turbines with a capacity of 2.5 MW each. Several companies are interested in investing in wind farms in Romania. The Italian company Enel plans to build several wind farms with a total capacity of 350 MW. The Swiss conglomerate Cofra Group will build two wind farms, one that will have a capacity of 700 MW in Dobrogea and one that will have a capacity of 400 MW in Neamþ and Suceava counties; the total investment will amount to $1.65 billion. In 2008, Iberdrola bought 50 wind farm projects, with a combined installed capacity 1,600 MW, from two companies for $450 million. Romanian companies interested in building wind farms include Electrica and Green Energy, which have plans to build wind farms that will have a installed capacity of 310 MW with total investments of $420 million. The Hungarian company Sinus Holding will build five wind farms in the Northern Moldavia region, having an installed capacity of 700 MW and totaling $800 million in capital investment, that will be built by December 2009. The first offshore wind-power project in Romania will be constructed by the United States–based Blackstone Group, which will invest $1.4 billion in a 500 MW wind farm located in the Constanþa County sector of the Black Sea on a 40 km2 (15 sq mi) area situated 6 km (3.7 mi) from the shoreline. The project will consist of 100 wind turbines producing five MW each; they will be installed in water up to 50 m (160 ft) deep. The project is expected to be commissioned in 2011. THE ROMANIAN ASSOCIATION OF WIND POWER PRODUCERS (A.P.E.E.R) is a non-profit organization, established with the purpose of protecting, representing and promoting the economic and legal interests regarding energy production from renewable sources (E-SRE), and hence the interests of the E-SRE producers, suppliers, of the wind-turbines importers, as well as of other companies or institutions involved in the field of wind energy, in their relationship with the state institutions and other trading or normative entities. At present, we are mainly focusing on informing our members on the legal projects currently developed within the field of wind energy and on promoting the respective projects. Consequently, there is a continuous follow-up and development activity going on, while trying to improve the proposed conditions through active dialogs with the involved institutions.